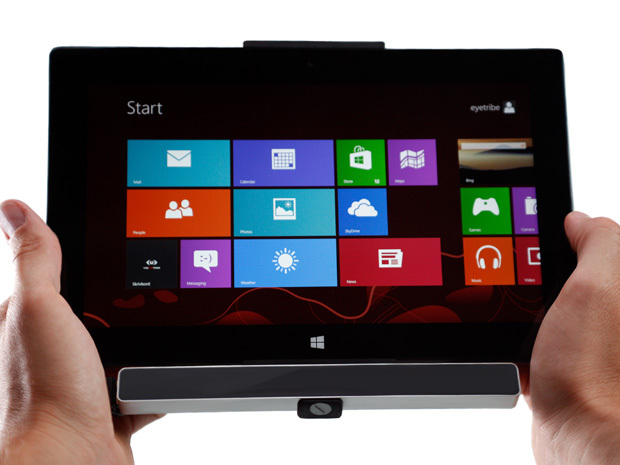 Last April Denmark-based start-up The Eye Tribe demonstrated prototype eye-tracking technology for mobile devices. Its system bounces infrared light off the user’s pupils; that’s not particularly new; The Eye Tribe’s twist is using existing processors in a device to process the tracking data. This month, the company began taking orders for a US $99 kit that includes the infrared system built into a USB dongle for Android devices; the company hopes that the kit will turn out to be a holiday 2013 stocking stuffer for the app developer in your life. The company doesn’t expect to see its infrared attachment hanging off of every mobile device; rather, it plans, by getting developers to start working with its technology, to have a head start when device manufacturers decide to build infrared systems into their products. I tried out a prototype of the technology in April (see video, above). It was definitely fun; we’ll see if app developers can make it useful.